The aorta is most commonly involved by atherosclerosis; followed by coronaries, popliteal arteries, carotids and circle of Willis. 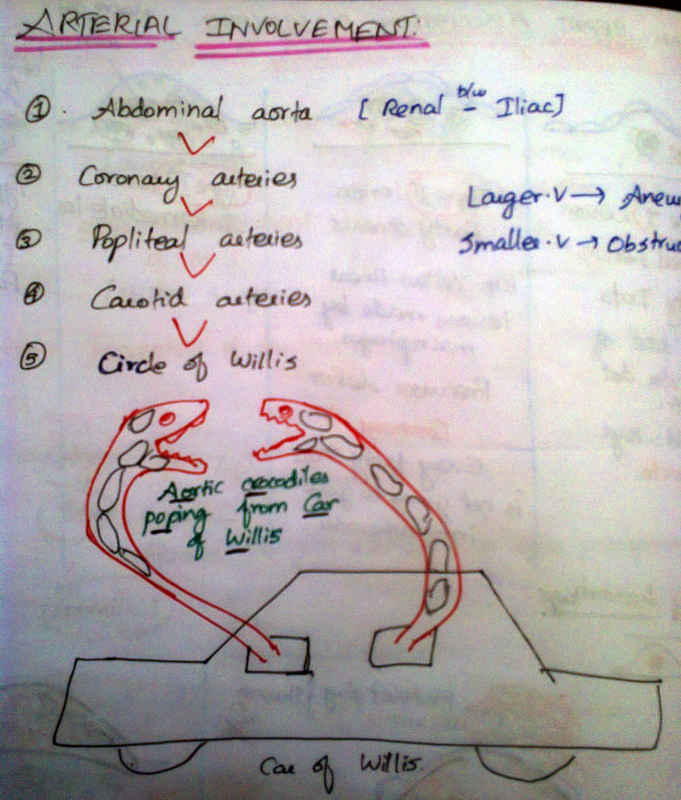 Mnemonic: Aortic crocodiles popping from car of Willis. This is high yield information, I remember an multiple choice question being asked in my Pathology exam on this. They particularly asked which part of the aorta is most commonly involved in atherosclerosis. So don't forget that it's the abdominal aorta! Image art by Bharathi Priya. Also, as the image suggests, large vessels will dilate and cause aneurysms as a complication and smaller vessels usually gonna end up being obstructed. 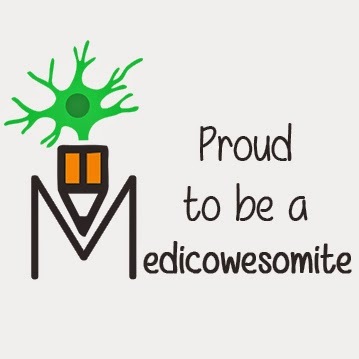 This mnemonic was submitted by Bharathi Priya. Thank you!